Not an authentic bagna cauda but one of the most delicious dips for vegetables I have ever had. Love the biscuits must make them again. I've looked at the picture of this one for years & finally succumbed to making it.. next time I'll put the flaked almonds on the sides before it goes into the oven for the topping bake-off - they just fell off... this time I doused each layer with a rum/sugar syrup blend before the redcurrant jelly, otherwise I think it would be very dry. This recipe is definitely one of those that improves with age.. much better on Day 3 than it was on Day 1! This is our son's favourite birthday cake! Delicious, especially the chocolate layer. I have been making this on and off for over thirty years. Made it again recently after a long hiatus and my boys loved it and now request it regularly. 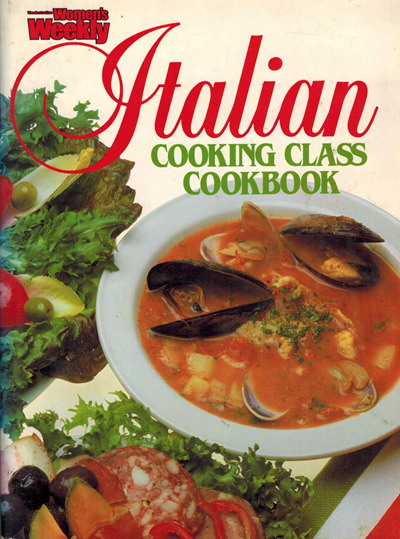 In Italy, dishes vary according to the region, and this book draws from all regions to capture the diversity and creativity of Italian cooking.